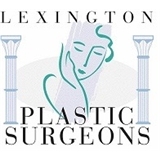 Lexington Plastic Surgeons (Oxon Hill) - Book Appointment Online! Dr. Ende was very professional. He really took the time to explain everything that he was doing. The wait time was a bit long but worth it.